The Band's classic 1968 LP Music from Big Pink was named after a house in West Saugerties, NY, where the album was partly written. That same house also hosted the Band's celebrated sessions with Bob Dylan, during which they recorded much of The Basement Tapes. Now, fans can follow in the footsteps of these iconic musicians by staying in that very same house, which is available through the vacation rental service VRBO. 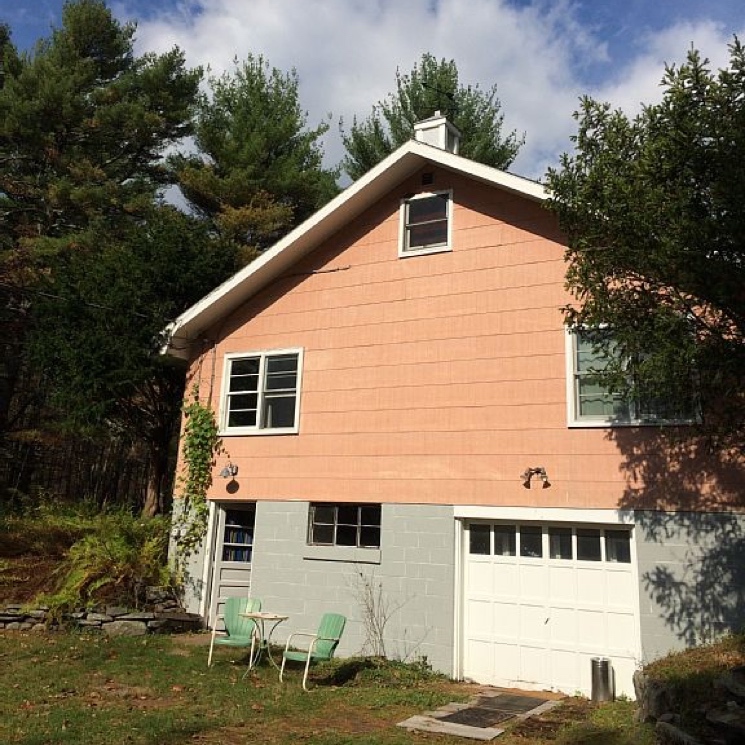 The distinctive, pink-painted house is located about two and a half hours' drive upstate from New York City. The listing has been up since last month, and rentals cost $650 US per night (with a minimum two-day stay) or $2,750 US per week. There's also a $195 cleaning fee and $79 insurance, plus a damage deposit. The whole thing is 1,850 square feet and can sleep up to nine people (but no young kids or pets are permitted). There's one significant disappointment: the rental doesn't include the basement, so you can't actually go to the room where The Basement Tapes were captured. For more information, check out the listing here. The photo above comes from the listing. Thanks to JamBase for the tip.